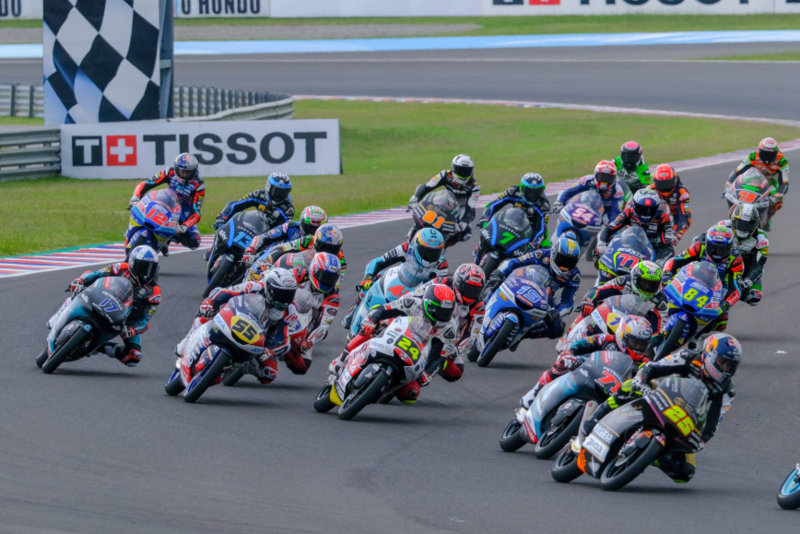 The Grand Prix of Argentina produced another stunning Moto3 race with no fewer than 18 riders doing battle for the win over 21 laps. KTM rider Jaume Masiá, fourteenth in the early stages, came through to take his first win of the season, with South Africa’s Darryn Binder and Tony Arbolino of Italy completing the podium alongside the Spaniard. Meanwhile Kaito Toba retained his leadership of the championship ahead of Lorenzo dalla Porta, with Masiá moving up to third. The Sama Qatar Ángel Nieto Team salvaged a point from a Moto3 race in Argentina that saw Raúl Fernández fight in the lead group throughout the race, eventually finishing only his second race as a full-time Grand Prix rider just two seconds off the win in fifteenth place, a result that leaves him second in the chase for the Rookie of the Year title. His teammate this weekend Aleix Viu enjoyed a valuable weekend on the bike ahead of the opening round of the Junior Moto3 World Championship next week. Viu made a cautious start and lost touch with the lead group but he fought hard with a bunch of more experienced rivals and finally took nineteenth. “It was a really tough race, mentally very difficult. We have to improve because we were up there in the lead group but didn’t have enough to hang in there. I struggled a lot, I was running wide and trying to pick a line where I could get on the gas earlier and pick up a slipstream but I still couldn’t prevent them from passing me. We have to move on and learn from this and keep on the upward curve when we go to Austin”.